Touchstone Systems services and products (including the Metamation Document Management system) are supported from the UK, between the hours of 9:00am and 5:30pm, Monday to Friday, excluding UK public holidays. Support outside of the standard hours can be provided where required. These support hours are applicable to all methods of requesting support. 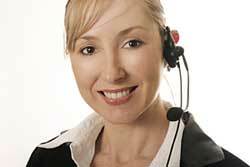 Phone support is provided by calling 0845 434 8949. Email support is provided by detailing your questions or problem to support@touchstone-systems.co.uk. This email address should be used whenever further details are required by our support staff (such as screen shots, details of configurations, etc). Web support is provided by accessing the on-line support site at www.touchstone-systems.co.uk/support. This site provides the ability to log new issues or change requests, view details of support issues, software changes or releases, or to provide updates to existing issues.